Now that I am approaching my first few months in our new house, I have set my mind to some renovations that we’re going to consider for the future. 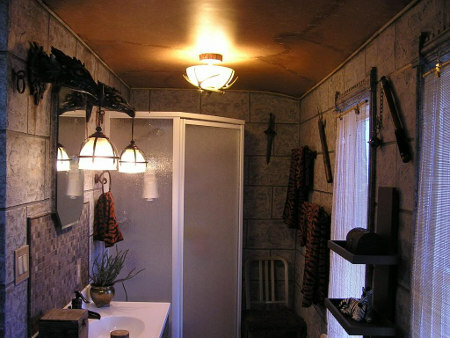 The bathroom on the second floor was near the top of the list, and I would love to get a geeky theme applied to it. Luckily for me, there has been a fairly wide array of different bathroom designs featured here at Gadgethim and over at Walyou, too. I have put together a small list of my favorite bathroom renovations for geeks, and I am sure you will enjoy them too! Itsa me, Mario! This Mario Brothers bathroom design has the potential to be a great piece of nostalgic gaming goodness. Thanks to the prevalence of Mario gear and the plethora of Nintendo options out there, putting together a bathroom design with your favorite plumbers is a snap. Now that I think about, they’re plumbers, so having them in your bathroom makes perfect sense anyway! 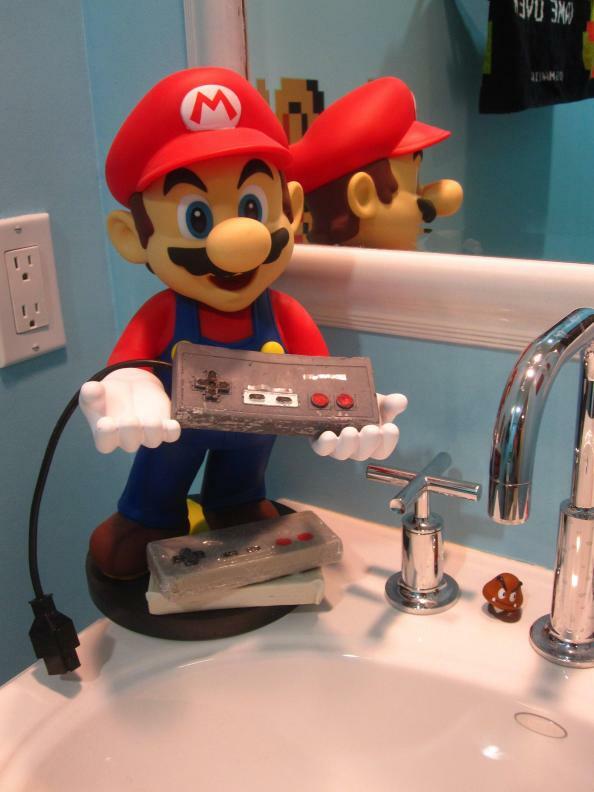 The Mario bathroom featured a number of great items like original Super Mario Bros. Wall art, a mushroom tissue dispenser, a brick trash can, and a Mario soap holder. Put all of this together and you are sure to make your nerdy friends gape at the sheer awesomeness of your porcelain throne. Generally speaking, you probably would not want to bring expensive electronics into your bathroom. After all, the place is constantly filled with water, humidity, and..well you know what else goes on in there. Still, items like this motherboard bathroom mirror would be perfect for a computer-themed bathroom that can help make your John usher in the 21st century. 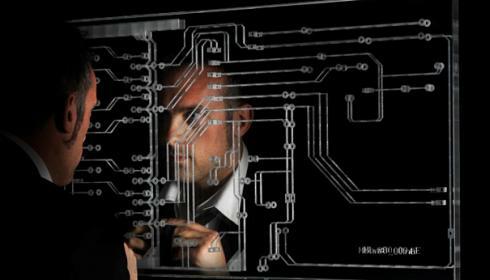 The pattern on the mirror is laser etched inside, so the mirror is properly distorted by you won’t be able to touch the edges physically. Even as the game has been running for well over half a decade, there are still millions of fans of Azeroth out there. If you think that you will be a fan of the game for life, you can upgrade your bathroom to epic proportions with this Warcraft Bathroom Design. Thankfully, just about any piece of decoration from the middle ages fits well into the theme, so you aren’t completely limited to Warcraft swag. I am still not sure about the little chair next to the shower, though. I mean, are you really just going to be sitting down and thinking in the bathroom? Then again, if it looked like that, I would probably want to hang out in there a lot more, too. In case you didn’t quite hear the sound of the Harry Potter series ending when you put down the “Harry Potter and the Deathly Hallows” book, the semi-final nail in the coffin has been placed now that the full movie series has been completed. Still, that doesn’t mean you have to leave the wizarding world behind. You can actually make your visits to Hogwarts timeless with this Harry Potter Bathroom design. 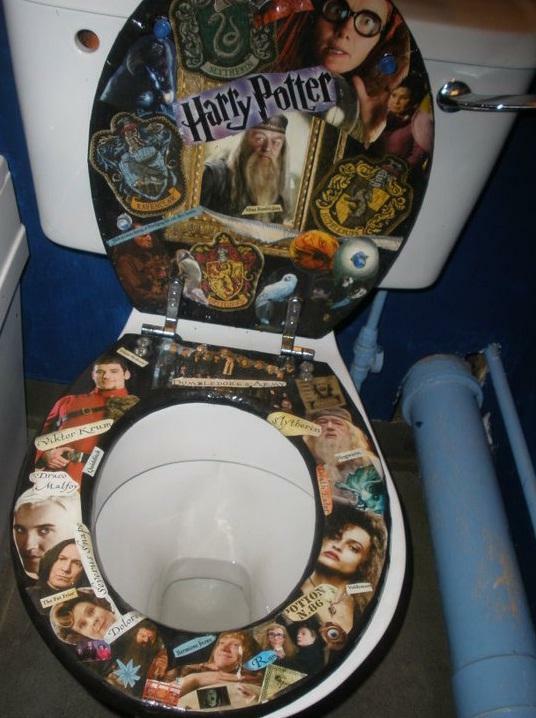 Sure, your friends might be a little uncomfortable to sit on Dumbledore’s face when they want to use the bathroom, but you’ll have plenty of other options for adding other Harry Potter stuff in there as well, given the immense popularity of the books and movies alike. So I will be the first to admit that I was never a die hard Pac-man fan, and yet I still have a soft spot for the little guy and his munchy ways. 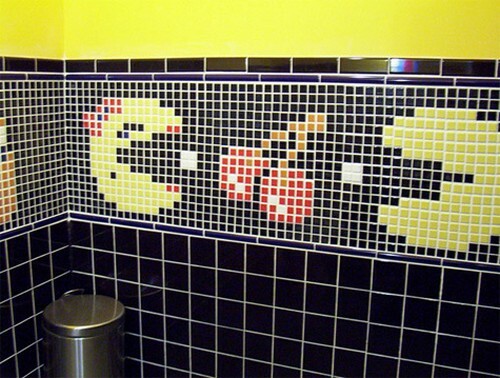 Many gamers I know feel the exact same way, and in that regard you probably can’t go wrong with a Pac-Man themed bathroom. As you can see by this brilliant tile work, there is a lot of room for creativity, and I’d be willing to bet that it would be east to make soaps, your toilet, and other items reflect the theme well. Perhaps best of all, just about anyone would be able to immediately recognize Pac-man and at the very least they should be able to appreciate such an homage even if they aren’t gamers themselves. This piece was featured over at Walyou in an extensive list of 13 Astoundingly Crazy Bathroom Designs. I don’t think they’re crazy, per se, but certainly unusual.